Remember those days in the early 2000s when you had a hard time finding anything else to choose from than a burger or a pizza if you came to Luleå a late Monday evening? Well, those days are gone. “You know, we got five new restaurants recently. And two wine bars.” says Matz Engman. His office with Luleå Business & Economic Development is next door to the fashionable Stadshotellet, the City’s French Renaissance style hotel. A giant Facebook thumb is on the office wall. The thumb is up for most developments in Luleå. Since Facebook opened its giant 30,000 square metres data centre in 2013, the spin-offs have lined up. The social network estimates it has spent 1,5 billion Swedish kroner (€161 million), an investment that is said to have generated an estimated economic impact of 3,5 billion kroner (€376 million) for Sweden. “Facebook is the best branding you can think of,” explains Matz Engman. When one of the world’s most popular and fast growing companies knocks on your door, you know many more are heading in the same direction. Since Facebook came, ten datacentres are built in the region. Cryptocurrency specialist KnC Miner recently decided to built its fourth bitcoin data centre in Boden, a 50-minutes drive from Luleå. KnC Miner began construction of its first data centre just two years ago, inside a disused Swedish Army helicopter hangar. During the Cold War, Boden was Sweden’s “fortress” aimed at stopping a Soviet invasion from the north. In addition to bitcoin and Facebook, others have datacentres hosting different companies with large-scale server needs. Like the Hydro66 and Fortlax colocation facilities, the last one also located in a former Army facility. Fortlax already has around 400 clients and more are welcome. Matz Engman says one of the keys to success for Luleå is its close interaction with neighbouring municipalities, like Boden. 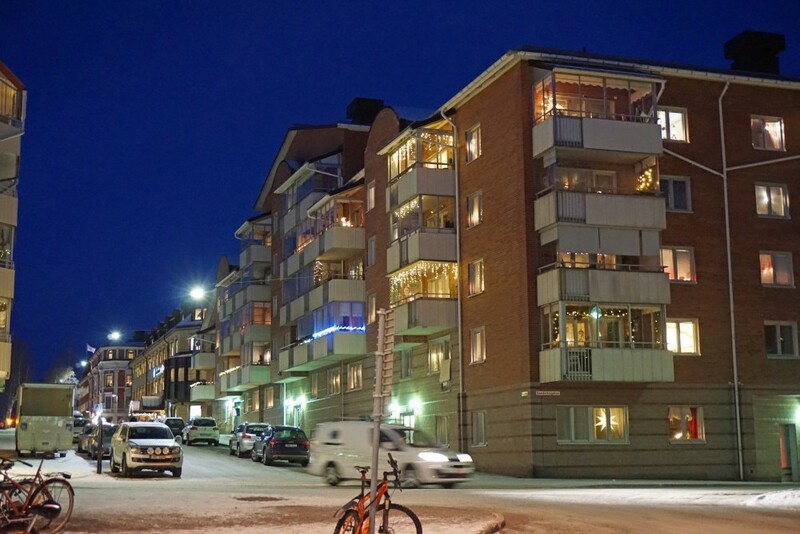 “Housing in Luleå is very expensive, so many are commuting. The development favours all municipalities in the region,” he tells. Some 10,000 people are commuting to Luleå every day, while 4,000 are commuting from Luleå to the neighbouring municipalities of Piteå, Boden, Älvsbyn and Kalix. Population growth for Luleå has doubled the last few years, to around 600 new inhabitants annually. The population is now 76,000 people. Over the last three years, housing has doubled in price. No other cities in the Barents Region have seen an increase in real estate prices by 34 percent every year. Luleå, last year awarded as the “Emerging City of the Year” in Sweden, is currently building houses and apartments for 10,000 new inhabitants. The world is hardly big enough when the nine employees in the office of Luleå Business & Economic Development eyes new markets. Last week, they announced the opening of an office in Austin, Texas in cooperation with the municipality and Luleå Technical University. Who knows, maybe Luleå region will be a hub for high-tech companies, a kind of “Arctic valley” for innovation, research and manufactures? According to a report Boston Consulting Group has made on behalf of Facebook, the data centre built has so far generated an estimated 900 direct- and indirect jobs in Sweden. The current data centre employs around 100 people. The second data centre, now under construction, is expected to generate an additional 316 million kroner (€34 million). 90 percent of that will benefit the local economy, according to the report. By 2020, Facebook expects to have generated about 9 billion kroner (€967 million) in overall economic impact from its datacentre operations in Sweden. Anne Graf is Chief Commercial Officer with the Node Pole, an alliance network of more than 50 technology and construction partners in the region around Luleå. “Low carbon footprints, low electricity bills, high-tech solutions, great infrastructure and a intellectual community; we have it all,” says Anne Graf explaining which are the selling arguments when Node Pole is guiding companies and investors to establish businesses in northern Sweden. The fastest growing company in Norrbotten County is currently Boden Eltjänst, a local company dealing with electrical installations, especially for the new data centres. The firm had turnover increase of 248 percent over the last two years, reports the regional business news portal AFFÄRER I NORR.se. Data centres needs electricity. Huge amount of electricity. For companies like Facebook, the green branding of the electricity used in their enormous server halls is of vital importance. Northern Sweden don’t only have some of the lowest electricity prices in Europe, it can also guarantee 100 percent renewable energy from hydropower and wind power. Natural cool Nordic climate also helps, most of the electricity used data centres goes to cooling the servers. “Did you know that reading the Facebook app on your smartphone consumes only on fifth of all energy that such operation require,” asks Anne Graf. 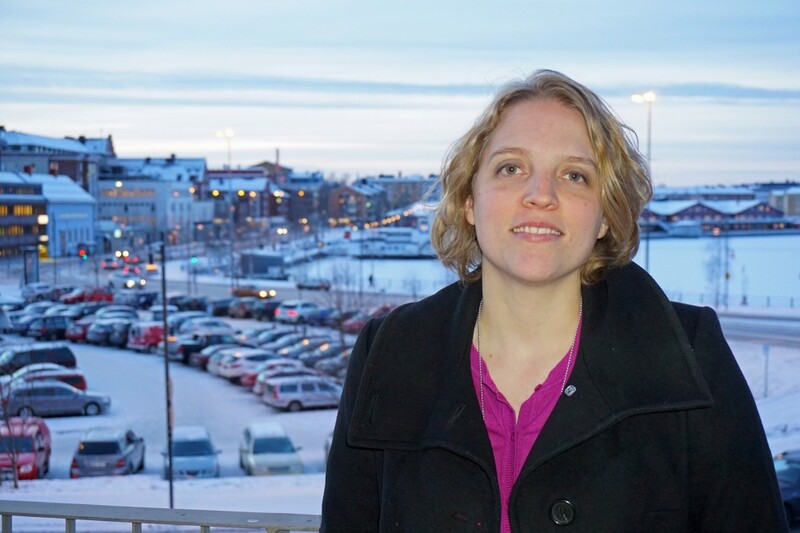 She explains that the rest 80 percent of the energy is not from the battery on your phone, but is used in the data centres, like the ones here in Norrbotten, to process the data you require from Faceboom, she explains. Data, however, is not like any other item of goods you get in a store. It is spread around in the web of data networks with server centres around the globe. For Facebook, the servers in Luleå is important, but not the entire picture. “Your News Feed gathers content from friends, family and others you have chosen to connect with on Facebook, regardless of where in the world they may be,” explains Frida Löwengren, Consultant with Northern Link PR and working with communications for Facebook. So far, some 8 to 9 billion kroner are invested in building the data centres in the region, according to the Node Pole. Facebook’s own analysis, the company’s investments in Sweden have boosted the emergence of a new ecosystem of information and communications technology companies, the establishment of regional support organizations, public and private investments in local infrastructure and utilities. Also, the number of applications to Luleå Technical University has increased due to the establishment of data centres nearby. “We have space and electricity for many more,” says Anne Graf explaining that 50 percent of the 4,200 MW production from the Lule River hydropower plants is exported out of region. In addition, the largest windmill farm in Europe is to be built outside Piteå. “Today, it is five to ten times cheaper to transport huge amount of data than to transport electricity,” according to Graf. So, although big data consumers are in continental Europe, it is more efficient to have the servers up north by the Arctic Circle.